I was immediately drawn to the vibrant but relaxing ambiance of the place. 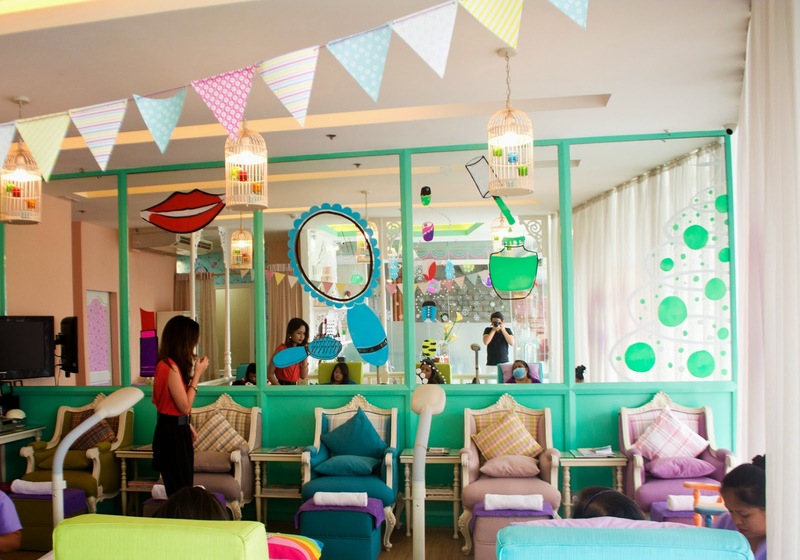 It had comfy couches and colorful decors all over, definitely every girly girl's kind of place! For my first visit, I had a manicure and pedicure, foot massage, and foot perafline, which relaxes the veins and muscles in the feet. The last one is definitely a must-try treatment especially for those who spend a lot of time on their feet, or like to wear high heels a lot. They also offer a full range of hair services, wax treatments, and different kinds of massages, I'm already looking forward to my next visit! 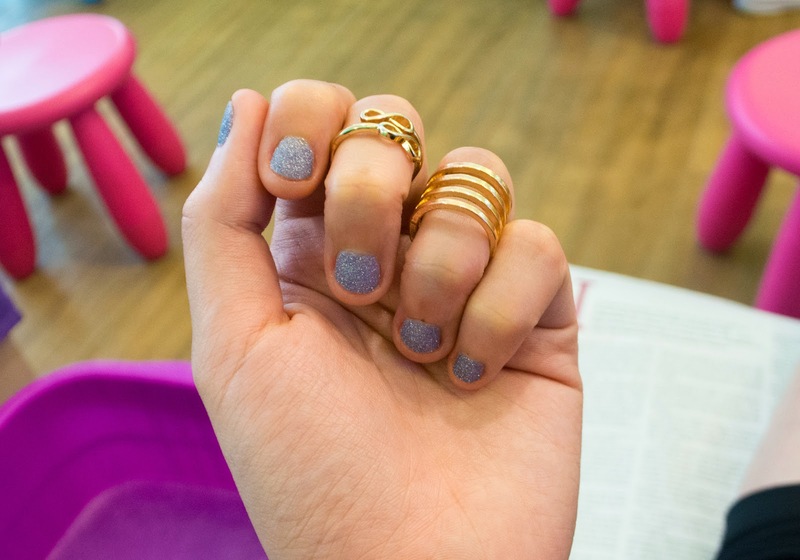 On your next pampering and me-time, head over to Make Me Blush Nail Spa! That makes me want to go get a mani pedi. I need it so bad!! :) Looks like fun! nice post ! luxury ! Looks like such a fun place. I love the interior. This place looks great, it's so colorful. I love the color you picked for your nails! great post and nice colors. You look fabulous! Looks like a great spa. What a cute salon! Love the sparkly colour you chose! I love the nail polish selection they have, and the color you chose!! 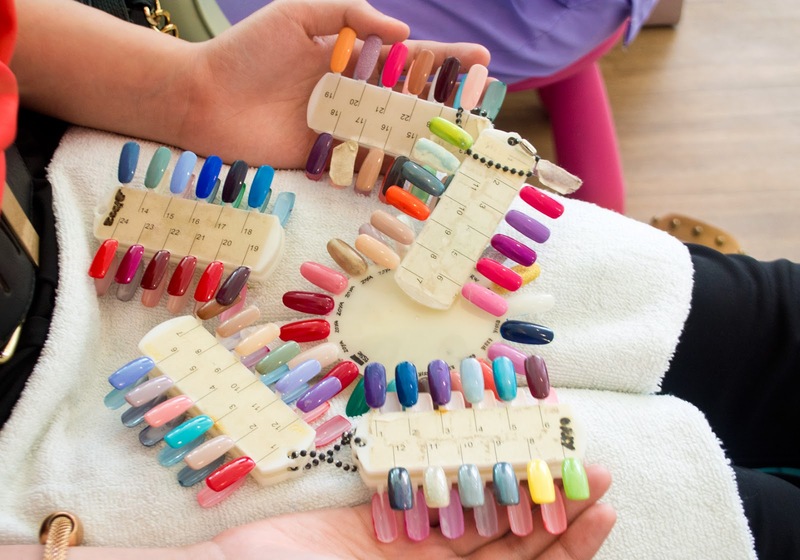 The nail spa has very pretty decorations, it must be very comfortable to have your nails done there! Love your outfit too, so chic! How nice, I love getting pampered!! !